Lennar Corp. has acquired a Miami property that includes the Wynwood Yard food venue and the O Cinema was sold for $17 million and may be redeveloped, according to Sandstone Realty Advisors President Jim Fried, who brokered the deal. Wynwood Yard was one of the first major culinary attractions in the neighborhood, which has transitioned from an industrial area into a district for arts, dining and entertainment. The open-air dining hall will remain on the property for a few more months. Wynwood Yard founder Della Heiman is currently working on plans to open food halls in both Miami Beach and Doral. It’s not immediately clear where O Cinema would go. The boutique theater also has a location in Miami Beach, although that city-owned building is in need of significant repairs. The O Cinema has drawn people to Wynwood by screening many foreign and independent films. With the recent rezoning in Wynwood that has allowed for more density and mixed-use development, the value of properties has increased significantly, and attracted interest from national developers. Rising rents have also priced out some tenants. Barreto Properties and 29th Street Complex, both managed by David Lombardi of Lombardi Properties, sold the 1.11-acre site at 48-98 N.W. 29th St. and 63 N.W. 28th St. to an affiliate of Miami-based Lennar (NYSE: LEN). 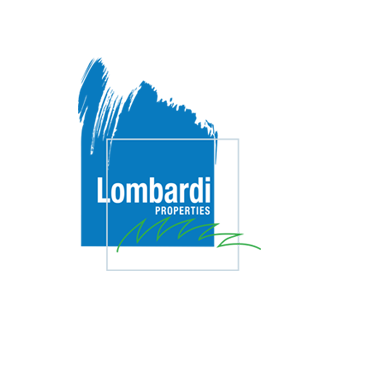 “We are glad to have sold to such a competent developer who also wants to create a project that fits into the fabric of the neighborhood and offer product millennials will love calling home,” Lombardi said. 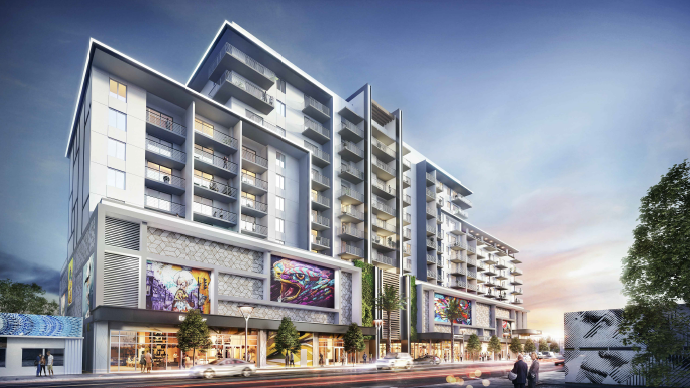 Lennar’s Wynwood Green will total 323,057 square feet in 11 stories and will have 189 apartments, 16,768 square feet of commercial space and 324 parking spaces, according to their approved development plan. There will be a pedestrian passage from Northwest 29th Street to Northwest 29th Street that goes underneath the building. Some of the building will have micro units. Apartments will range from 517 to 1,136 square feet and there will be 50 studios, 90 one-bedroom units and 49 two-bedroom units. The leasable space will total 152,593 square feet. The parking will be on the first three stories. There will be a pool and amenity deck on the ninth floor. Some of the amenity spaces will be fairly small. The design shows a club room of 842 square feet, a fitness room of 1,118 square feet, a yoga room of 525 square feet and a business center of 577 square feet.